This statistic illustrates the most common ways to engage with TV content on YouTube according to Millennials in the United States. 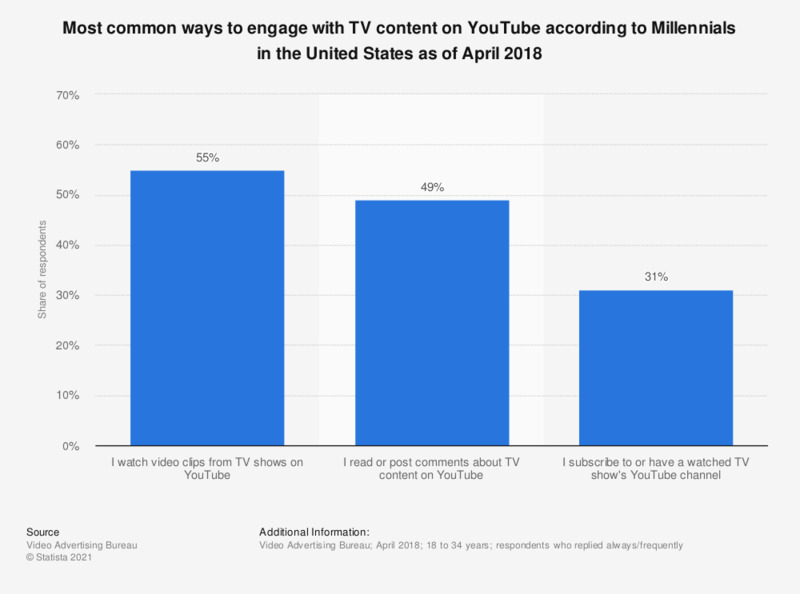 During the April 2018 survey, 49 percent of respondents stated that they always or frequently read or posted comments about TV content on YouTube. To what extent do large associations influence the content of Swedish radio and TV? To what extent do journalists influence the content of Swedish radio and TV? To what extent do the general public influence the content of Swedish radio and TV? To what extent do the government influence the content of Swedish radio and TV?